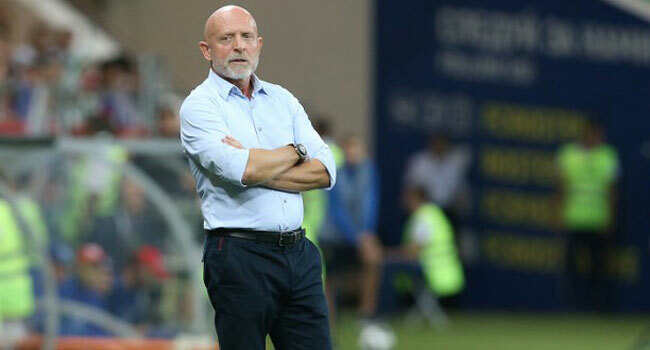 The Czech Football Association said Tuesday it had sacked national team coach Karel Jarolim following a 5-1 defeat at the hands of Russia the day before. “Karel Jarolim is quitting as coach of the Czech national team after mutual agreement,” the FA said in a tweet. “In the days to come, the FA will meet candidates who could replace him. Thanks, coach,” it added. The 62-year-old Jarolim, who was unveiled as coach in 2016, failed in his bid to lead the team to this year’s World Cup in Russia. The new season did not start well either as the Czechs lost 2-1 to Ukraine at home in the Nations League opener last week. They went on to take the worst thrashing since the Czech Republic’s independence in 1993 when they lost to Russia in a friendly in Rostov on Monday. “I feel terrible, I guess I deserve a public execution, it’s all my fault,” Jarolim said in Russia, admitting the team would likely need “a stimulus”. Czech media said former Slavia Prague coach Jaroslav Silhavy and current under-21 coach Vitezslav Lavicka were likely choices to replace Jarolim. Under Jarolim, a former Slavia playmaker, the national team won 10 games out of 22, mostly against minnows.